Two more races were enough to put Australia’s Brett Burvill and Max Puttman back on top of the leaderboard at the Tornado 2019 World Championship. The Youth crew Estela Jentsch and Daniel Brown of Germany had the best of day 3 with a win in race 5, and then a third place in race 6 to rocket up from tenth to third overall. 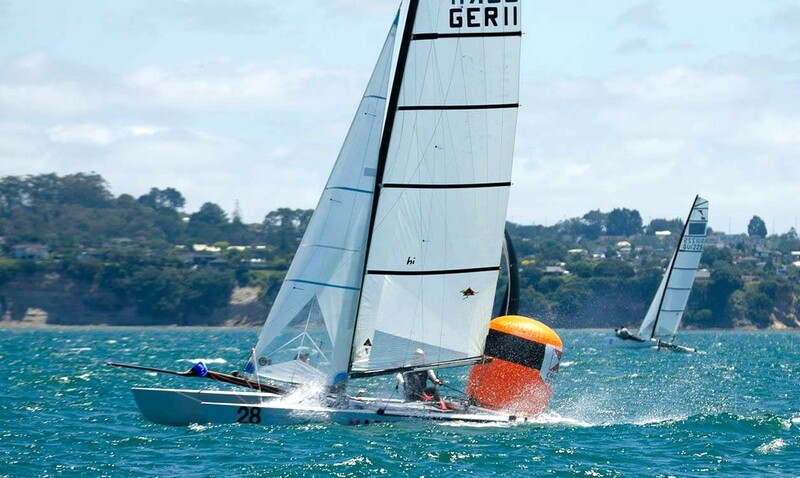 Jentsch and Brown took the first race ahead of Dave Lineman and Karl Taylor of New Zealand with Alan Gamble and Kim Nicholls of Australia in third place. In the second race (R6) the Kiwi pair Rex and Brett Sellars continued their recovery with a win ahead of Burvill and Puttman with third going to Jentsch and Brown.